I love spring. The warmer weather, sunshine, birds chirping. But I'm not a fan of all the cleaning that goes along with it. Cobwebs on the walls, windows covered in dirt, yard full of garbage, dog poop, and leaves, storage rooms cluttered, sheds, garages, basements and closets filled to the brim with things we just cannot use anymore. Paint peeling off decks, porches, and houses. The task of spring cleaning can be absolutely overwhelming. But here are a few tips that helped me. The dirt and clutter didn't get there over night, so you probably won't be able to tackle it in one day. Pace yourself. Take your time and work your way through the house, yard, or shed/garage, maybe tackling one small area or room at a time. When I have a huge job to do, I create a to do list and it helps me to stay on task. As you things done, you can begin crossing them off your list. I don't know about you, but it helps me to feel more accomplished when I can see it on paper. 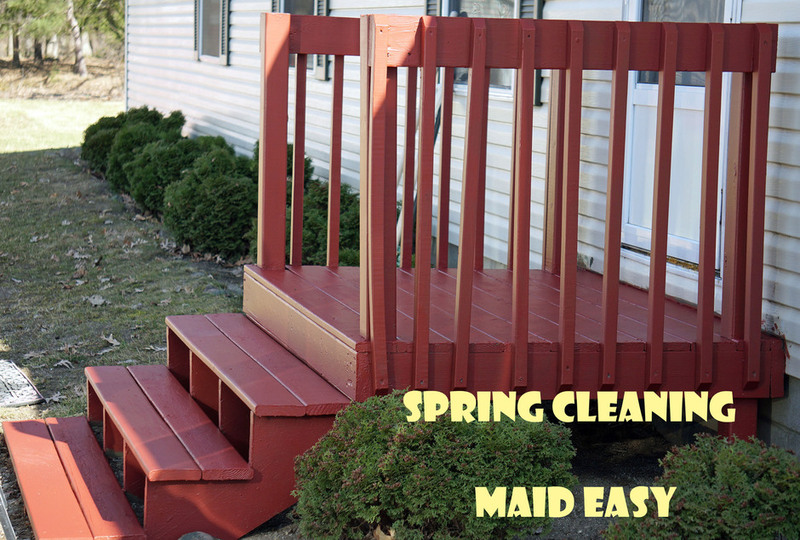 So far this spring I've washed all windows and curtains in house, washed cupboards down on the outside, raked the yard (3 times), put one fresh coat of paint on the front porch, and cleaned the entire back yard filled with junk and poo from the winter. I'm not a big procrastinator, I'm more of the Type A get-er-done personality. But I've learned with getting older and busier that I cannot get everything done in one day. So I make a smaller list from the first list I created, and each day I try to work toward getting a few more things accomplished. Either way, I just keep working at my goals, and slowly, little by little everything gets done. For years I dropped my life for everyone else and took very little time for me. I was happy. I love doing things for others. But I found myself completely exhausted and overwhelmed at times. I was a yes person. Although I still love to say yes, there are some times I must say no, and yes to me. I've learned that I'm much happier, healthier and less stressed if I take time out each day to do something I enjoy; a walk with the dogs, watch a movie, take a hot bath, go out to lunch or dinner, sunbathe, or just sit and enjoy nature. I love when spring comes and we change the clocks which leads to more daylight. For some reason I have more energy and can do even more, maybe it's the extra vitamin D from the sun. I find it's the same when I spend time with the SON of God--He brightens my day. If I take time with Him, it seems I have this positive energy, a greater strength, and I get more accomplished than if I work all day long at something. Lisa Freeman is a Public Speaker, Author, and Dog Trainer from Owosso, Michigan who loves to empower, help, and inspire others. She specializes in abuse, bullying, rescue, recovery, and bringing healing to the hurting. For more information click here.